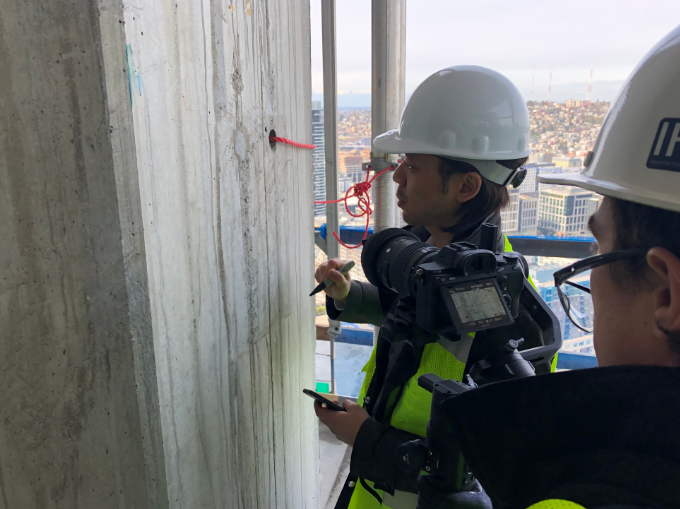 NEXUS is downtown Seattle’s most successful high-rise presale development, having already sold 361 of the 389 homes with first occupancy scheduled for late 2019—the soonest amongst all the city’s new construction condominiums. 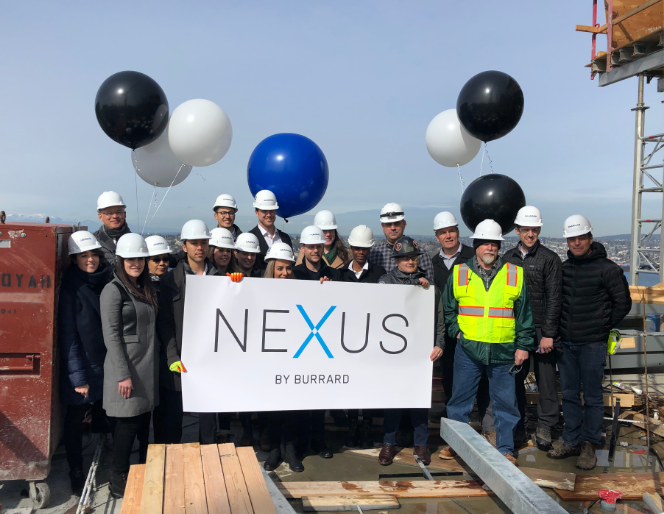 Robust presales prompted the retirement of the NEXUS Sales Center in June 2018 as the developer, Burrard Group, focused their attention on construction. 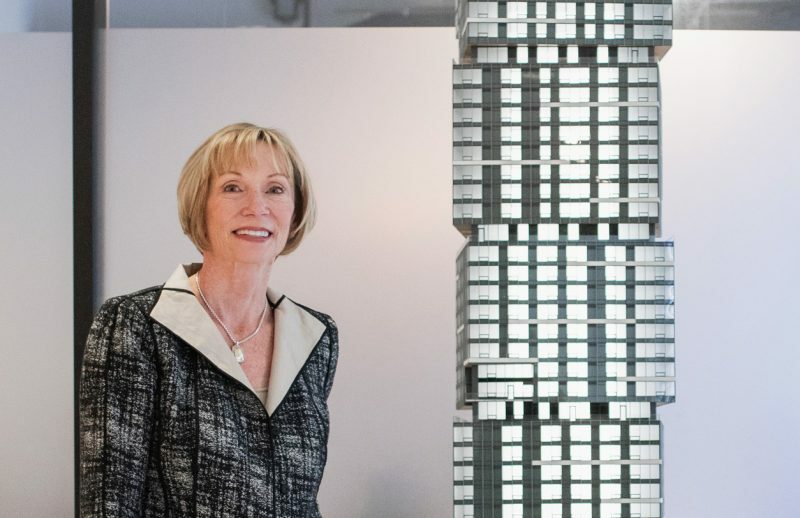 Having recently celebrated the “topping off” of the 41-story tower, Burrard is now returning to market with the final 28 homes and has appointed real estate veteran Julie McAvoy to Project Sales Director with Realogics Sotheby’s International Realty (RSIR). New listings include one-, two-, and three-bedroom condominium flats and Skylofts priced from below $1 million to more than $2.7 million. 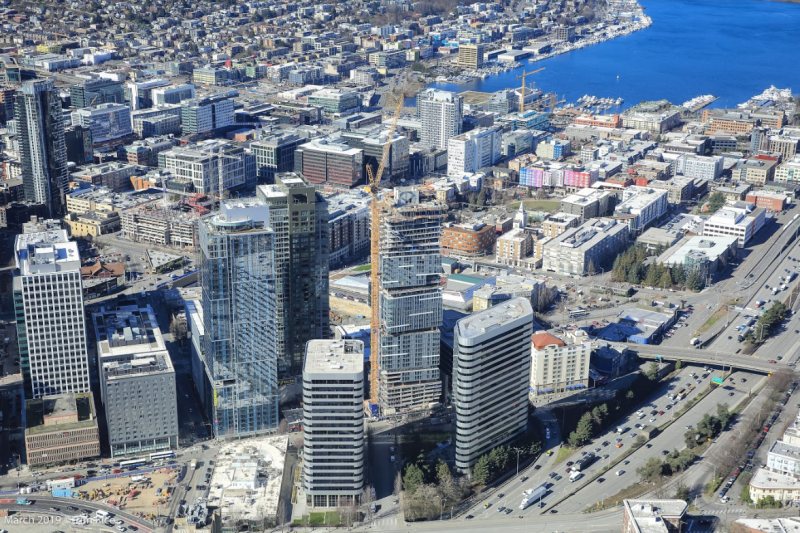 Jones has worked alongside McAvoy at several pivotal projects during past cycles including the 229-unit Olive 8 in the Retail and Theater District and the 261-unit 2200 at the gateway to South Lake Union, each time establishing new benchmark results. More recently, Julie successfully led the marketing and sales of 168-unit LUMA on First Hill, which successfully closed out in 2016. PICTURED ABOVE: Julie McAvoy, a Senior Global Real Estate Advisor with Realogics Sotheby’s International Realty will lead the final sales closeout at NEXUS, just 28 homes remain. McAvoy points to more than two dozen high profile projects under construction and planned within moments of NEXUS, including several million square feet of office, hundreds of thousands of square feet of new retail such as new grocery stores, the $1.8 billion expansion of the Washington State Convention Center, and other visionary improvements such as the Lid I-5 initiative, which plans to cap the I-5 highway cut and connect downtown Seattle to First Hill and Capitol Hill with elevated parks. Not surprisingly, more than 10,000 high-rise apartment units are quickly turning the immediate neighborhood into a vertical residential enclave. However, NEXUS is the only new community offered for individual homeownership. McAvoy points to numerous tech campuses that are within walking distance of NEXUS, representing tens of thousands of jobs, including Amazon, Facebook, Google, Apple, Microsoft and soon, Expedia will be relocated from downtown Bellevue to Interbay. Market pundits estimate more than 100 high-tech companies headquartered elsewhere have opened satellite offices in Seattle, which has spurred housing demand. 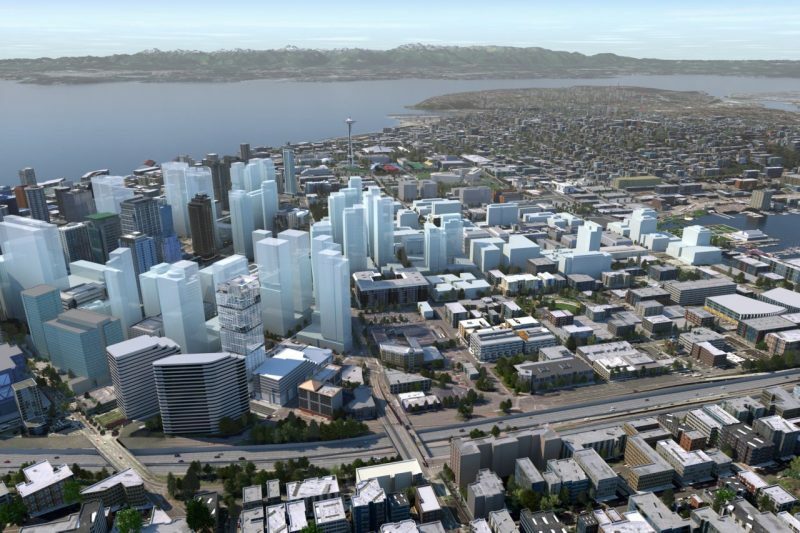 PICTURED ABOVE: NEXUS stands proudly, first and foremost in the evolving downtown Seattle skyline amongst an unprecedented amount of development creating a city in the city. Presales have become more popular in Seattle in recent years, allowing a prospective buyer to secure a new home several years before occupancy—locking in preferred pricing and personalizing the interiors. McAvoy says the final homes at NEXUS will be particularly attractive to move-up buyers that are seeking the next generation condominium, downsizing empty-nesters exploring city living for convenient “lock and leave” lifestyles, and high-tech workers that may buy their first home as their restricted stock units vest. To attract tech-savvy buyers, Burrard programmed and all-in-one Nexus Resident App, that allows homeowners to control in-home IoT devices (standard feature in NEXUS homes) with the opportunity to control climate, lighting, entertainment, security and window coverings. The App also integrates with building systems like building access, home-front door, gym equipment and package lockers, and booking of building amenities (i.e. private dining); scheduling of classes (i.e. yoga) as well as connecting with their community. Mainguy notes construction costs have risen 6-8% per year, since Burrard broke ground on NEXUS in Spring 2017. The tower was officially topped off on March 11 with occupancy by late 2019, approximately a year before other condominiums in the pipeline. PICTURED ABOVE AND BELOW: The 41-story NEXUS tower was officially topped off on March 11th and became a sky-high venue for a celebratory luncheon for construction workers. To showcase the evolving neighborhood and introduce new NEXUS team members, Burrard will celebrate a series of events on April 11, 2019. Aptly entitled “At the NEXUS of it All” this program will allow consumers to witness the construction progress firsthand and to discover all the extraordinary changes taking shape in the northeast corner of downtown, all while experiencing a dramatic view of NEXUS as seen from the Kinetics Peak Lounge across the street. Geekwire will be on location between 3pm and 5pm for a podcast moderated by Brian Westbrook as he explores the next generation of this high-tech, high-rise lifestyle. A guest panel discussion will include Real Estate Economist, Brian O’Connor; home automation expert, Lee Travis of Wipliance; Billy Mainguy, Vice President of Strategy for Burrard Group; and high-rise living specialist, Julie McAvoy.